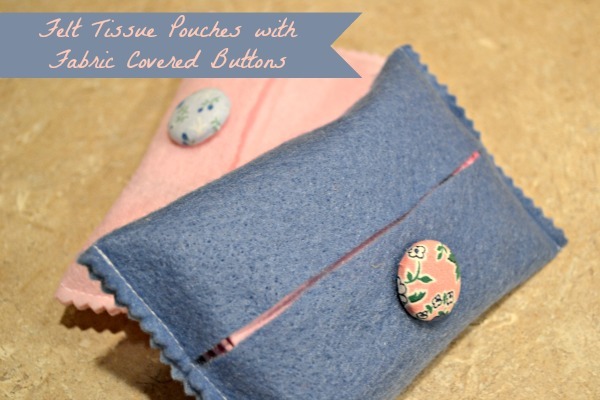 These cute tissues pouches are easy to make and great to give as stocking stuffers or "get well soon" gifts. Make enough to even keep one for yourself. Hi, I am visiting from Finding Fabulous and I just love this tissue pouch. I work at a Montessori school and just yesterday I was asked by the lead teacher if I could so some sewing with a small group of 5 year olds. This would be PERFECT! Thank you so much for sharing it! I love your project! Thanks so much for sharing the great tutorial!